Kuwait City (Arabic: مدينة الكويت‎‎) is the capital and largest city of Kuwait. Kuwait City is the political, cultural and economic center of Kuwait. Kuwait City is considered a global city. Kuwait City's trade and transportation needs are served by Kuwait International Airport, Mina Al-Shuwaik (Shuwaik Port) and Mina Al Ahmadi (Ahmadi Port). In 1613, the town of Kuwait was founded in modern-day Kuwait City. 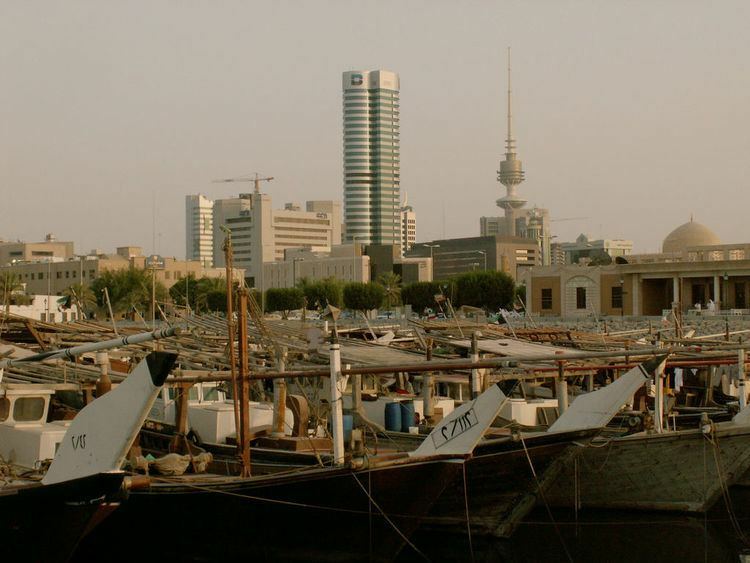 In 1716, the Bani Utubs settled in Kuwait, which at this time was inhabited by a few fishermen and primarily functioned as a fishing village. In the eighteenth century, Kuwait prospered and rapidly became the principal commercial center for the transit of goods between India, Muscat, Baghdad and Arabia. By the mid 1700s, Kuwait had already established itself as the major trading route from the Persian Gulf to Aleppo. The Sheikhdom of Kuwait became a British Protectorate in 1899 (until 1961) after the Anglo-Kuwaiti agreement of 1899 was signed between Sheikh Mubarak Al Sabah and the British government in India due to severe threats to Kuwait's independence from the Ottoman Empire. From 1946 to 1982, Kuwait experienced a period of prosperity driven by oil and its liberal atmosphere. In popular discourse, the years between 1946 and 1982 are referred to as the "Golden Era". 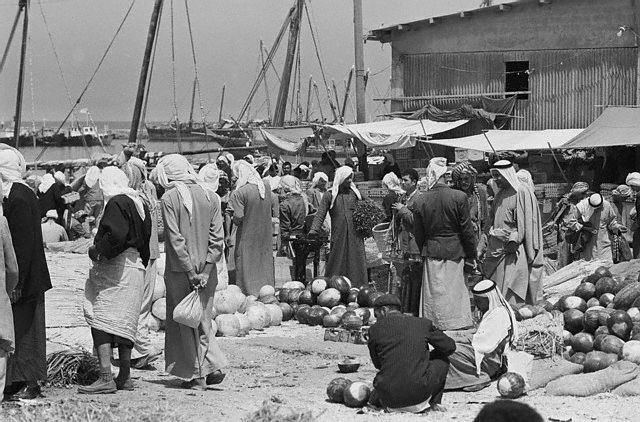 In 1950, a major public-work programme began to enable Kuwaitis to enjoy a modern standard of living. By 1952, the country became the largest oil exporter in the Persian Gulf region. This massive growth attracted many foreign workers, especially from Palestine, India, and Egypt – with the latter being particularly political within the context of the Arab Cold War. In June 1961, Kuwait became independent with the end of the British protectorate and the sheikh Abdullah Al-Salim Al-Sabah became an Emir. Under the terms of the newly drafted constitution, Kuwait held its first parliamentary elections in 1963. Kuwait was the first of the Arab states of the Persian Gulf to establish a constitution and parliament. During the Iran-Iraq war, Kuwait supported Iraq. Throughout the 1980s, there were several terror attacks in Kuwait, including the 1983 Kuwait bombings, hijacking of several Kuwait Airways planes and the attempted assassination of Emir Jaber in 1985. Kuwait was a regional hub of science and technology in the 1960s and 1970s up until the early 1980s; the scientific research sector significantly suffered due to the terror attacks. In March 2003, Kuwait became the springboard for the US-led invasion of Iraq. Upon the death of the Emir Jaber, in January 2006, Saad Al-Sabah succeeded him but was removed nine days later by the Kuwaiti parliament due to his failing health. Sabah Al-Sabah was sworn in as Emir. From 2001 to 2009, Kuwait had the highest Human Development Index ranking in the Arab world. In 2005, women won the right to vote and run in elections. In 2014 and 2015, Kuwait was ranked first among Arab countries in the Global Gender Gap Report. Sabah Al Ahmad Sea City was inaugurated in mid 2015. In June 2015, a suicide bombing took place at Al Sadiq Mosque. The Amiri Diwan is currently developing the new Kuwait National Cultural District (KNCD), which comprises of Sheikh Abdullah Al Salem Cultural Centre, Sheikh Jaber Al Ahmad Cultural Centre, Al Shaheed Park, and Al Salam Palace. With a capital cost of more than US$1 billion, the cultural district is one of the largest cultural investments in the world. In November 2016, the Sheikh Jaber Al Ahmad Cultural Centre opened. It is the largest cultural centre in the Middle East. The Kuwait National Cultural District is a member of the Global Cultural Districts Network. The Constitution of Kuwait is the most liberal constitution in the GCC. It guarantees a wide range of civil liberties and rights. In contrast to other states in the region, the political process largely respects constitutional provisions. Kuwait has a robust public sphere and active civil society with political and social organizations that are parties in all but name. Professional groups like the Chamber of Commerce maintain their autonomy from the government. The National Assembly is the legislature and has oversight authority. The National Assembly consists of fifty elected members, who are chosen in elections held every four years. Since the parliament can conduct inquiries into government actions and pass motions of no confidence, checks and balances are robust in Kuwait. The parliament can be dissolved under a set of conditions based on constitutional provisions. The Constitutional Court and Emir both have the power to dissolve the parliament, although the Constitutional Court can invalidate the Emir's dissolve. Before the Gulf War, Kuwait was the only "pro-Soviet" state in the Persian Gulf. Kuwait acted as a conduit for the Soviets to the other Persian Gulf states and Kuwait was used to demonstrate the benefits of a pro-Soviet stance. Between 1961 and 1991, Kuwait had an uneasy relationship with the United States characterized by mistrust and hostility. In July 1987, Kuwait refused to allow U.S. military bases in its territory. As a result of the Gulf War, Kuwait currently hosts thousands of US military personnel and contractors within active U.S. facilities. The Military of Kuwait traces its original roots to the Kuwaiti cavalrymen and infantrymen that used to protect Kuwait and its wall since the early 1900s. These cavalrymen and infantrymen formed the defense and security sources in metropolitan areas; charged with protecting outposts outside the wall of Kuwait. 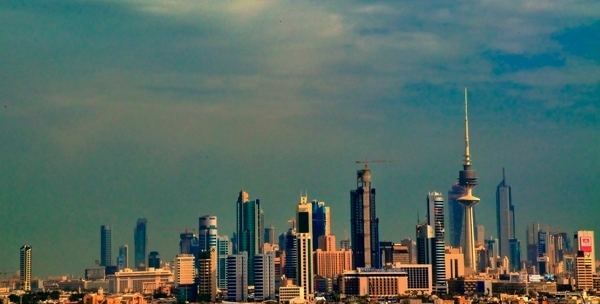 Kuwait City has a hot desert climate (Köppen: BWh) and is one of the hottest cities in the summer on earth. Summer temperatures regularly exceed 45 °C (113 °F), and temperatures over 52 °C (126 °F) are not uncommon in the summer, especially in heat waves; nighttime lows often remain above 30 °C (86 °F). In winter, nighttime temperatures frequently drop below 8 °C (46 °F). Considering its coastal position and relative distance to the equator in comparison with the hot desert climates in Africa and Saudi Arabia, the heat in the city is rather extreme - being surrounded in almost every direction by the hot desert. Kuwait has a petroleum-based economy, petroleum is the main export product. The Kuwaiti dinar is the highest-valued unit of currency in the world. According to the World Bank, Kuwait is the fourth richest country in the world per capita. Kuwait is the second richest GCC country per capita (after Qatar). Petroleum accounts for half of GDP and 90% of government income. Non-petroleum industries include financial services. Kuwait has proven crude oil reserves of 104 billion barrels, estimated to be 10% of the world's reserves. According to the constitution, all natural resources in the country are state property. Kuwait currently pumps 2.9 million bpd and its full production capacity is a little over 3 million bpd. The Kuwait Investment Authority (KIA) is Kuwait's sovereign wealth fund specializing in foreign investment. The KIA is the world's oldest sovereign wealth fund. Since 1953, the Kuwaiti government has directed investments into Europe, United States and Asia Pacific. As of 2015, the holdings were valued at $592 billion in assets. It is the 5th largest sovereign wealth fund in the world. The historical preeminence of Kuwait (among the Gulf monarchies) in finance dates back to the founding of the National Bank of Kuwait in 1952. The bank was the first local publicly traded corporation in the Persian Gulf region. In the late 1970s and early 1980s, an alternative stock market, trading in shares of Gulf companies, emerged in Kuwait, the Souk Al-Manakh. At its peak, its market capitalization was the third highest in the world, behind only the U.S. and Japan, and ahead of the UK and France. The Amiri Diwan is currently developing the new Kuwait National Cultural District (KNCD), which comprises of Sheikh Abdullah Al Salem Cultural Centre, Sheikh Jaber Al Ahmad Cultural Centre, Al Shaheed Park, and Al Salam Palace. The Sheikh Jaber Al-Ahmad Cultural Centre is the largest cultural centre in the Middle East. Yachting is a popular activity, Kuwait is the largest leisure boat market in the Gulf region. Sabah Al-Ahmad Sea City is a large-scale tourism project in Khiran. Kuwait is home to more than 20 art galleries. In recent years, Kuwait's contemporary art scene has boomed. Khalifa Al-Qattan was the first artist to hold a solo exhibition in Kuwait. He founded a new art theory in the early 1960s known as "circulism". Other notable Kuwaiti artists include Sami Mohammad, Thuraya Al-Baqsami and Suzan Bushnaq. The Amiri Diwan is currently developing the new Kuwait National Cultural District (KNCD), which comprises of various cultural projects including Sheikh Abdullah Al Salem Cultural Centre, Sheikh Jaber Al Ahmad Cultural Centre, Al Shaheed Park, and Al Salam Palace.